Already have an account (sponsorships or donation)? Please log-in below (or sign in as guest)! New to Pueblo a Pueblo's donor portal? Please create an account (or login as guest) to keep your information current in our system. By registering, you will eliminate the need to re-enter your contact information with each donation. When creating an account, please use the same email address to which you currently receive Pueblo a Pueblo communications (if applicable). You are about to change lives! 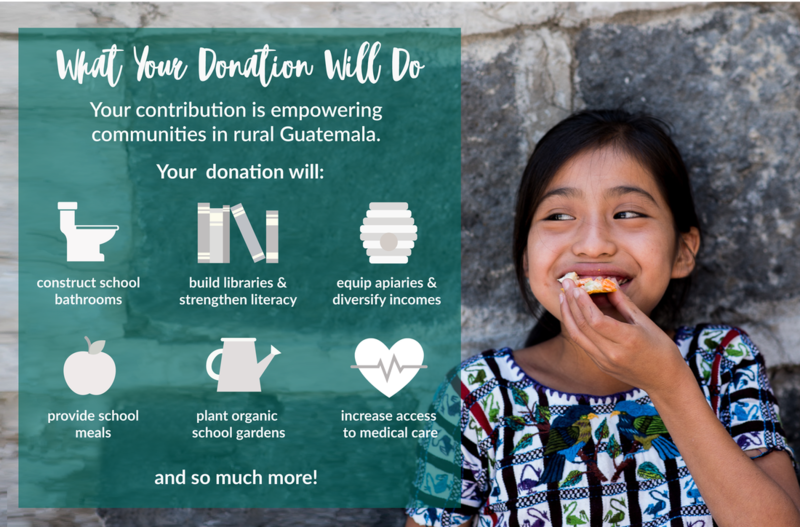 From all of us here at Pueblo a Pueblo, thank you for your commitment to improving the health, education, and economic stability of coffee farming families here in Santiago Atitlán. Your support makes possible our success. Please specify which of our projects you would like to support (or select general support), and choose one-time or recurring donation.